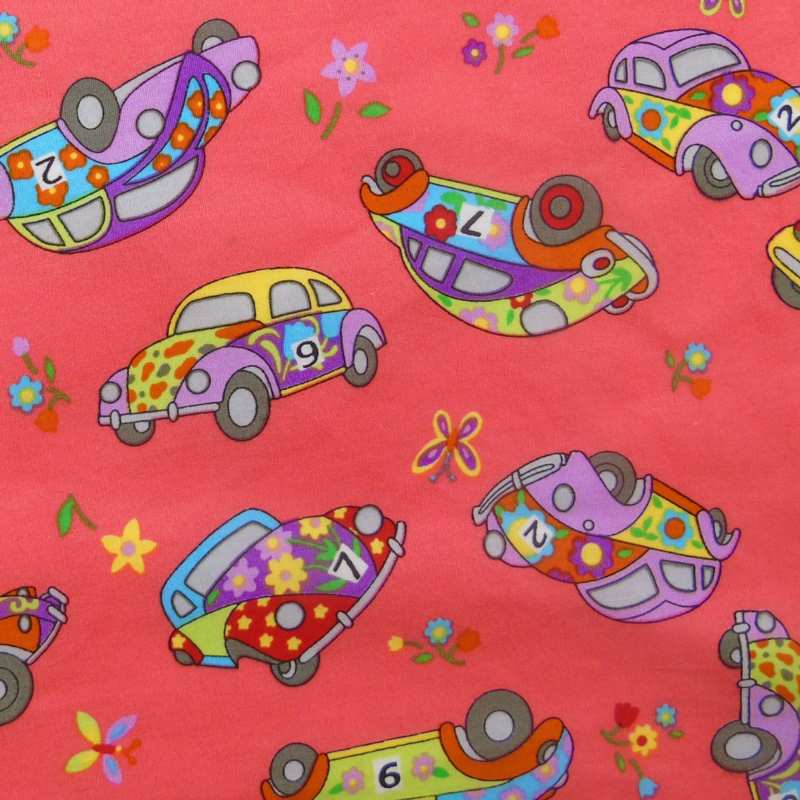 This is a super-cute Classic VW Beetle cotton print on a lovely bright Coral Pink/Orange background. It's a lovely bright and cheerful design with multicoloured cars and flowers too! It will make a fabulously fun Droolbuster, particularly when combined with the Lime Green or Orange Terry Towelling options. Perfect for any VW classic car enthusiast, this Droolbuster is a must-have if you're attending any classic car rallies with your droolly dog!!! It's a great, cool and funky look for any dog.